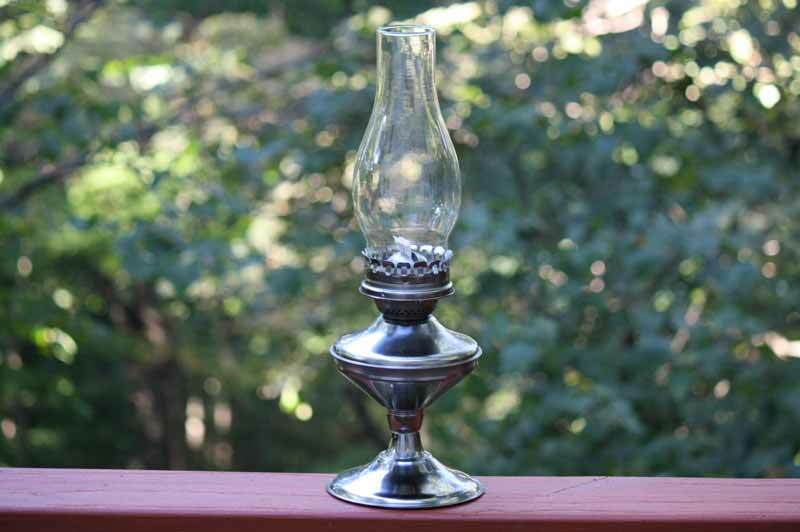 This antique style oil lamp is one of our most affordable kerosene lamps for sale from our antique lamp supply. It stands tall at 17" with a sleek pewter finish. Place it on a side table, mantle, or bookcase for the perfect vintage touch to any room!